Healthjump’s jumpCONNECT software is a data processor which normalizes, aggregates and stores data creating a single uniformed source of data from all of an organization’s systems. This data can then be accessed directly through the jumpCONNECT API or in a number of preconfigured or customized outputs. Healthjump is committed to the accuracy of all captured data and has implemented a thorough set of procedures to ensure precision and reliability. All data passes through multiple quality checks and is then routinely verified by human inspection. 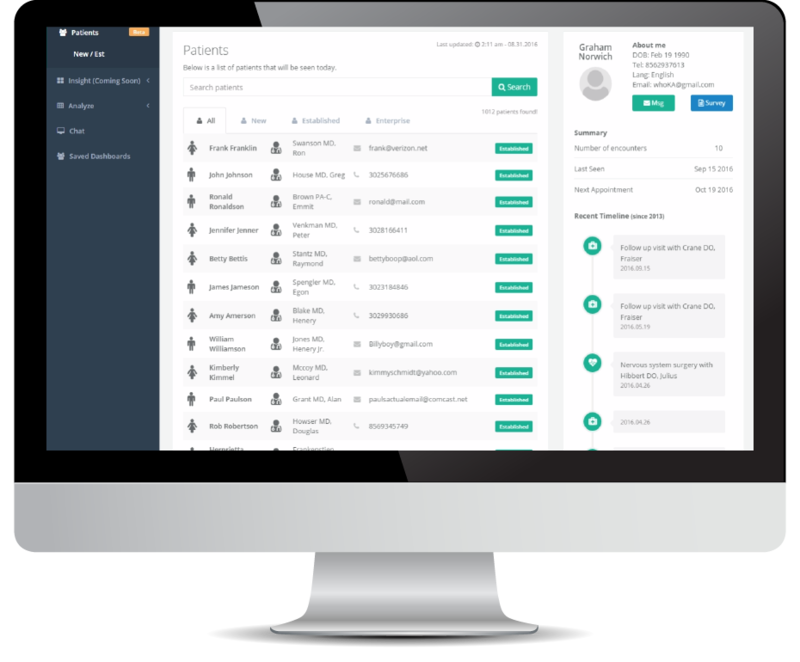 With just a single Log In to the web-based Practice Portal, users can quickly and easily search for a specific patient and view a timeline view of the patient's record. 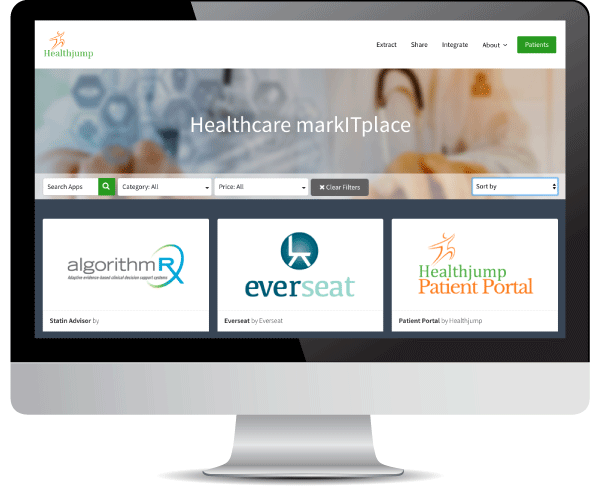 Software developers and other 3rd parties are able to access data from jumpCONNECT by working directly with Healthjump's API. This is the fastest and most efficient way for data retrieval. jumpCONNECT utilizes State of the Art framework by Laravel for it's APIs. 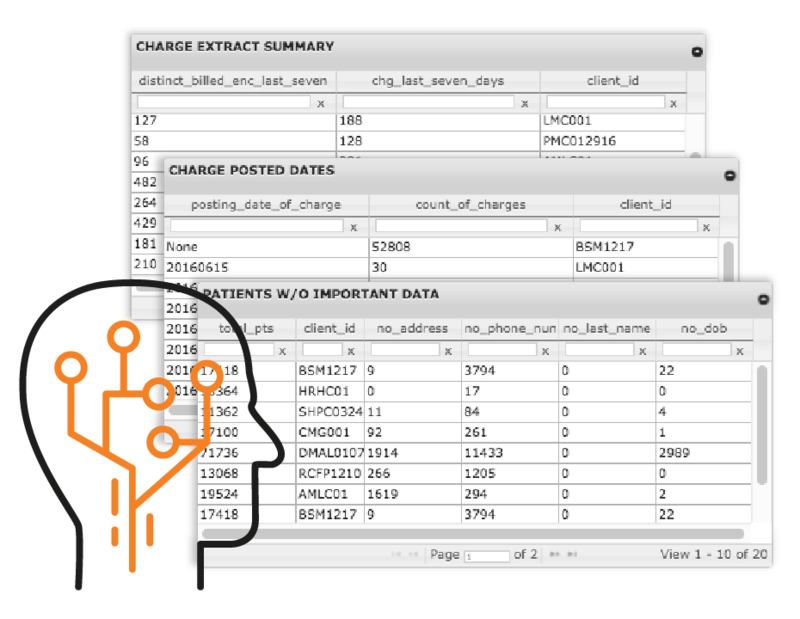 Data from the jumpCONNECT Warehouse can be accessed directly using popular Business Intelligence tools. Every application from practice management, electronic health records, analytics and population health management cannot function without data. Patient and financial outcomes can be negatively affected by incomplete or inaccurate data. integrated APPS offers premiere applications that are fully integrated with jumpSTART and jumpCONNECT that utilize warehoused data to maximize the value of the data your organization is already collecting.